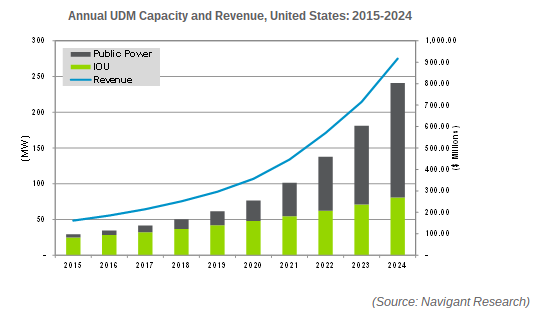 Home » Campus Microgrid » How Can Microgrids and Utilities Become Best Buds? The term microgrid used to give utility executives sleepless nights and indigestion. These small, self-reliant systems would pop up, seemingly like mushrooms, within a utility’s service territory, threatening both the utility’s resource plan and its obligation to serve reliable power. They completely went against the grain of what utilities were all about: providing a standard level of electricity service to all customers from large, centralized power plants based around economies of scale. The idea of intentionally islanding distributed generation (DG) from the wider power grid also raised public safety concerns, especially when it came to inverter-based distributed energy resources (DER) such as solar photovoltaics (PV). Furthermore, if these microgrids—typically deployed on college campuses, military bases, or in hospitals—worked well, they would contribute to the erosion of utilities’ fundamental business model; as customers deploy more and more onsite generation, energy storage (perhaps in the form of an electric vehicle, or EV, plugged in their garage), and have automated demand response capability (via smart thermostats and appliances), they reduce the amount of power provided by utilities and the revenue they generate. Interestingly enough, unregulated arms of IOUs such as Southern California Edison, Sempra Energy, Xcel, and Duke Energy are beginning to invest in third-party microgrids as a business venture; the regulated side of the utility holding company will also play a larger role in microgrid deployments in the foreseeable future. Their public power counterpoints, however, will lead in new capacity additions due primarily to regulatory issues pertaining to the uncertainty surrounding the ability of rate-basing microgrid investments that might only serve a small subset of a utility customer classes. Smaller publicly owned utilities can move quicker due to less conflicts between customers and shareholders, as well.